I have been in Kansas for a couple of weeks now. The Summer Institute on Environmental Stewardship doesn’t only provide me with a keen understanding of environmental issues and community service, but also helps me step out of my comfort zone and into my ‘leading’ zone. 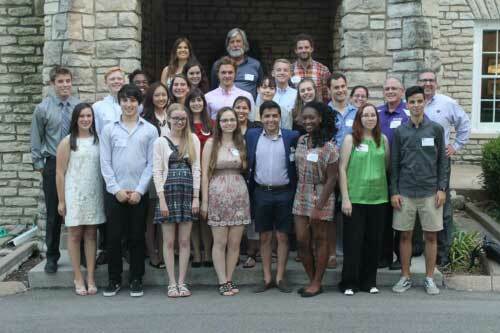 On July 11th the President of Kansas State University hosted an Opening Reception at his house for us European Students. One of the attendees was Tom Phillips, Republican member of the Kansas House of Representatives. I had an extensive conversation with Mr. Philips about various topics, for example the importance of education. I loved talking to me Mr. Philips because he had some very progressive views that I could relate to. We both agreed that education is key to raising awareness of environmental issues. I also asked Mr. Philips what he thought about the fact that the poorest 20 percent of the state of Kansas actually pay more taxes than the top 1 percent earners, percentage wise. I felt privileged to discuss these issues with a person whose decisions impact others people’s lives. We also visited Jeffrey Energy centre which is the largest plant in Kansas. The primary mission of the plant is to convert the chemical energy from its coal supply into electric energy. We were given a talk about how the energy centre produces energy and what sources it uses. Our guide had a background in Biology. Most of the questions were about the impact the energy centre had on the environment and how they try to minimize this impact. The energy center uses the water from the nearby lake. I asked the guide what happens exactly to his water and how this impacts the environment. He told me that only 30 percent of the water they draw in, returns into the lake. The remaining 70 percent evaporates. The water goes through a lot of different filter process’ before returning back in the lake or evaporating. There is still significant water and air pollution, but the most important thing for me is that the energy center is aware of its impact to the environment and is taking measure to mitigate these. Another exciting trip we made was to Kansas’ only nuclear power plant, Wolf Creek Nuclear Center. Wolf Creek is providing Kansas and Missouri with clean energy since 1985 and generating enough energy for approximately 800,000 homes. The CEO gave a brief introduction and allowed us to ask questions for over an hour. It was exciting because he is the CEO of this multimillion dollar company and it’s not often you get the opportunity to speak to someone in his position. I thought Saturday 19th July was the most interesting day of all. Kansas State University organized their annual Dialogue on Sustainability. This year’s topic was “Communication and Sustainability: How to Communicate Effectively to Advance Sustainability Initiatives”. Obviously as a Communication Student I was excited. One of the speakers was Rachel Krause, faculty member with the School of Public and Administration at Kansas University. Mrs. Krause talked about municipal government motivation. The core message in her talk was to avoid the “unmanageable” and manage the “unavoidable”. I loved this day, because I learned how to communicate about environmental issues and vice versa. It’s interesting to see the impact culture has on communication. 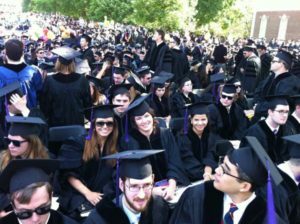 In Manhattan, Kansas State University frequently uses words as family and community in an effort to connect to the values of most Kansans. How much money business’ save by doing the first 3 things. In my opinion the 4th objective is the most important. The current perception companies have on environmental management is that it costs money. The EPA tries to prove that companies will save money by doing the first three topics. The hardest thing is to convince companies to look at the long term objectives, because most companies want to see immediate results. All these field trips create opportunities to talk to some influential and powerful Kansas leaders who’s decisions impact the environment and the public. This can be intimidating sometimes, but I talked to a lot of people. I have been exposed to differing points of views. This helped me form my own opinion. have learned that I can create my own opportunities through talking to people and discussing our opinions. I really am pushed out of my comfort zone and into my ‘leading’ zone. Want to apply for the next Summer Institute on Environmental Stewardship? Check out this page for more information.